Los Prietos Campground is situated in the Los Padres National Forest and provides access to a variety of outdoor adventures, including water-related recreation and hiking. The family-friendly campground is green and lush and is a great place to camp in the mountains of western California. The campground offers dozens of single-family sites for tent or RV camping. No utility hookups are available at the campground. 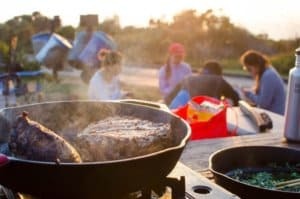 Each site is equipped with a table, campfire ring with grill and a pedestal grill. Flush toilets and drinking water are provided. Trash collection bins are available throughout the campground. The Santa Ynez River is popular for a variety of water-related recreation. The river can be accessed at White Rock Day Use Area, less than a half-mile from the campground. Cachuma Lake Recreation Area is no-body-contact reservoir about 10 miles northwest of the campground. It offers boating, fishing and kayaking. Anglers will find an abundance of annually stocked trout. Carp and bass are also common catches. The campground is located 19 miles from Santa Barbara and the Pacific Ocean. 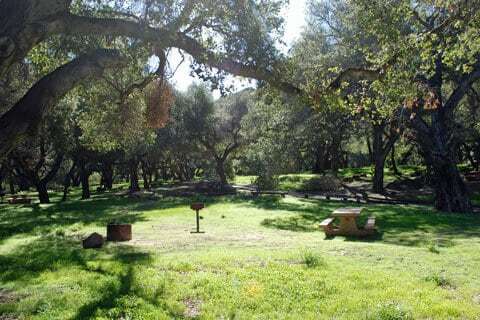 The campground is nestled on the side of the Santa Ynez Mountains. Beautiful, mature oak trees provide ample shade, and abundant vegetation blankets the ground. The sites are roomy and allow for some privacy and separation.